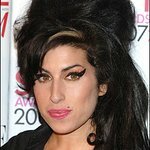 Launched by Amy Winehouse's father, Mitch, following the singer’s tragic death in 2011. The charity was set up on the late singer’s birthday, 14th of September by her family, as a way to commemorate her and also help the millions of disadvantaged young people in the world. Google trends for "Amy Winehouse Foundation"
We don't have any videos related to Amy Winehouse Foundation.